AniMotion™ was designed to help children explore and develop their agility, balance, coordination, strength, and flexibility while promoting independence, self-confidence, and improving self-esteem…all in a safe, supportive, non-threatening environment that's FUN! 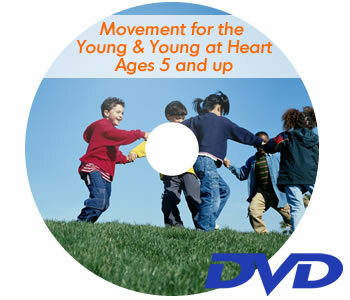 With AniMotion™ kids develop a love of movement and are more likely to make fitness a lifetime habit to help maintain a healthy weight, and decrease the risk of serious illnesses, like high blood pressure, diabetes and heart disease. Mastering the basics with AniMotion™ like agility, balance and coordination is an important first step in a child's lasting love of an active lifestyle. FlowMotion LLC is committed to respecting your privacy and your personal information, meaning any information that is associated with your name. FlowMotion LLC uses your personal information to better understand your needs and provide you with superior service. In our ongoing effort to provide you with the best in Internet solutions, FlowMotion LLC has outlined the following information to address online privacy. As our policies are subject to change at any time and without notice, we encourage you to check back to this site whenever you may have questions or concerns. Visitors of the FlowMotion LLC Web site may access information while remaining anonymous and without revealing any personal information. Occasionally, and in order to provide you with relevant, desired information concerning products or services, FlowMotion LLC may request information from you. Prior to collecting such information, however, FlowMotion LLC will explain the purpose for which the information will be used. Unless disclosed to you at the time of collection, FlowMotion LLC will not provide any personal information, regardless of its source, to any third party. FlowMotion LLC gathers personal information to better meet your individual needs and to make you aware of new products or offerings in which you may be interested. To help us improve your experience, FlowMotion LLC may also track your use of our web site. FlowMotion LLC will not sell your personal information to any third party. Currently FlowMotion LLC may share your information with FlowMotion LLC entities located in other countries and/or business partners in order to satisfy your business needs. In all cases, we will take appropriate steps to protect the information you share with us from unauthorized access or disclosure to third parties. Should you have any concerns that FlowMotion LLC has not adhered to these policies, please contact us and we will use reasonable efforts to promptly identify and address those concerns. If you do not wish to be contacted by FlowMotion LLC for the purposes of direct marketing, contact FlowMotion LLC. Both the design and content of this web site are the copyrighted property of FlowMotion LLC. All Rights Reserved. Any copy of a document, or portion of a document, must contain the Copyright Notice that accompanies such document. You may use a document solely for your personal, non-commercial use. Except as expressly provided herein, you may not copy, use or distribute any information from this Web site, in whole or in part, without obtaining FlowMotion LLC's prior written consent. FlowMotion LLC is a registered trademark, and other FlowMotion LLC product names, service names, slogans or logos referenced in this Web site are trademarks or registered trademarks of FlowMotion LLC. All other company, product or service names referenced in this Web site are used for identification purposes only and may be trademarks of their respective owners. Except as otherwise expressly provided by FlowMotion LLC, all comments or materials submitted to FlowMotion LLC through or in association with this Web site shall be deemed to be the non-confidential property of FlowMotion LLC, and FlowMotion LLC shall be free to use such comments or materials on an unrestricted basis. This web site may contain hyperlinks that connect you to third party sites. FlowMotion LLC provides these hyperlinks only as a convenience; the inclusion of any hyperlink does not imply FlowMotion LLC's endorsement of such site. Hyperlinked sites are not under FlowMotion LLC's control and any access to them is at your own risk. THE INFORMATION, PRODUCTS AND SERVICES CONTAINED ON THIS WEB SITE MAY BE OUT OF DATE OR INCLUDE INACCURACIES AND OTHER ERRORS. ALL INFORMATION, PRODUCTS AND SERVICES ARE PROVIDED TO YOU "AS IS" AND WITHOUT WARRANTY OF ANY KIND. WHETHER EXPRESS OR IMPLIED, INCLUDING WITHOUT LIMITATION WARRANTIES OF MERCHANTABILITY AND FITNESS FOR A PARTICULAR PURPOSE. IN NO EVENT SHALL FlowMotion LLC BE LIABLE FOR ANY DIRECT, INDIRECT, INCIDENTAL, SPECIAL OR CONSEQUENTIAL DAMAGES, OR DAMAGES FOR LOSS OF PROFITS, REVENUE, DATA OR USE, INCURRED BY YOU OR ANY THIRD PARTY, WHETHER IN CONTRACT OR TORT, ARISING FROM YOUR ACCESS TO OR USE OF THIS WEB SITE OR ANY OTHER HYPERLINKED WEB SITE, REGARDLESS OF WHETHER OR NOT FlowMotion LLC HAS BEEN ADVISED OF THE POSSIBILITY OF SUCH LOSS OR DAMAGE. FlowMotion LLC RESERVES THE RIGHT TO MAKE CHANGES OR UPDATES TO THIS WEB SITE OR THE PRODUCTS OR PROGRAMS DESCRIBED IN THIS WEB SITE AT ANY TIME WITHOUT NOTICE. 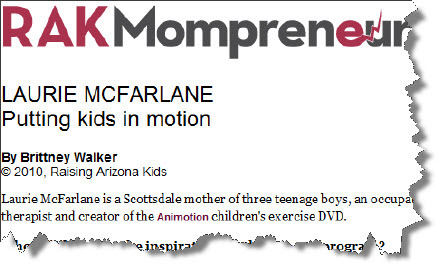 This Web site is controlled by FlowMotion LLC from its offices in Phoenix, Arizona, USA. All matters relating to your use of this Web site or any of its contents shall be governed by U.S. federal law or the laws of the State of Arizona without regard to conflicts of laws principles, and any legal action or proceeding relating to the same shall be brought exclusively in a state or federal court in Maricopa County, Arizona. Further, you agree to submit to the jurisdiction and venue therein. For your child's safety, before beginning any sports or fitness program, have your doctor perform a thorough physical on your child. Kids with undiagnosed medical conditions, vision or hearing problems or other disorders may have difficulty participating in some of the following activities.